Posted June 7, 2013 by Josette Farrell in News. 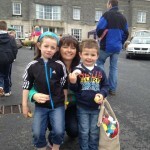 The Annual SMA Family Open Day once again proved to be a huge success with a large crowd assembling at Claregalway. 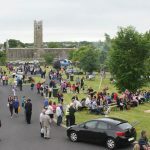 The event which has now become a permanent fixture now on the local calendar of Summer Events around Claregalway had loads of activities for young and old alike. 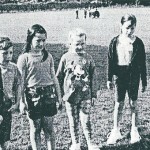 The Event which helps to put SMA House and its missionary activities on the map and through a varied programme of activities inside the House and the Grounds, also provided patrons plenty of entertainment and social inter-action. As always the Dog Show took centre stage proving to be the main attraction in the event. The SMA Fathers are indebted to the many local volunteers that come and help every year at the event in the preparation and running of the event. They are indebted also to the many people who donate items for sale and do much baking to help with the event.